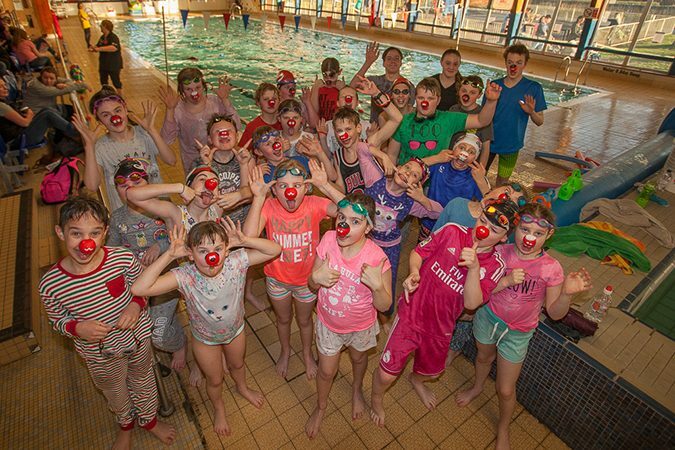 Formed in 1932, we are one of the oldest swimming clubs in Staffordshire, serving Leek and the Staffordshire Moorlands. We are a friendly, inclusive, competitive swimming club catering for swimmers from Stage 7 to National level competition. We also have an active Masters section. All our swimmers are coached by a fully qualified team with lots of experience in coaching and competing themselves, led by our Head Coach, Rob Bryan. 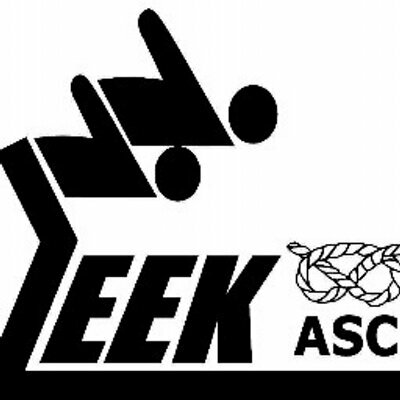 At Leek ASC we always welcome new swimmers. If you would like to join us for a free trial please email contact@leekasc.co.uk. 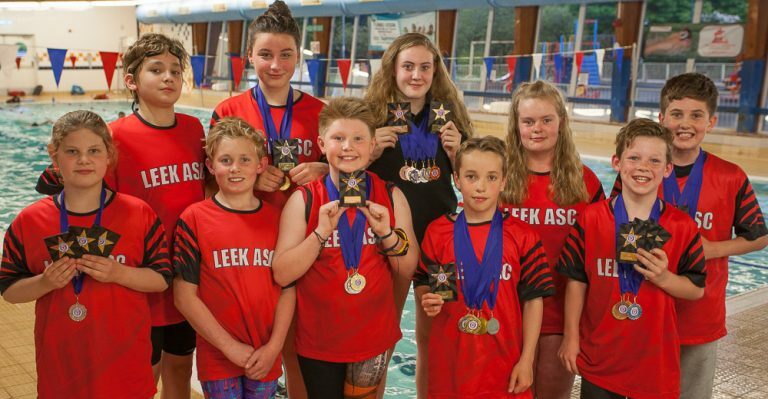 Leek ASC is a not-for-profit community sports club run by volunteers and supported by parents – if you would like help out please email contact@leekasc.co.uk. 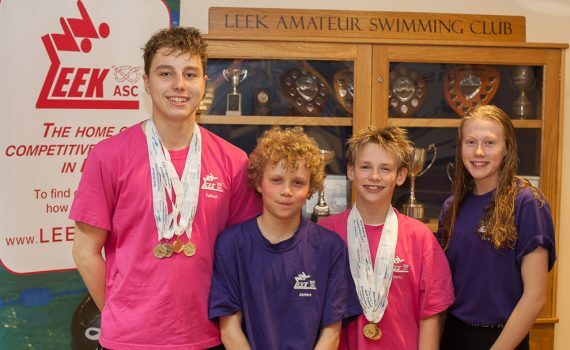 Leek Amateur Swimming Club is a SwimMark accredited club. It has come to light that the presentation evening clashes with the first round of the Crusaders League gala, which was believed to be the 19th January. Tickets will be £3 each, which includes pizza and cake. Tickets will be available to purchase from Helen Whitehead, Michelle McGinley-Keates, Michelle Beattie and Mel Hilton at training sessions from Monday 7th January onwards. It is now just over one week until our annual presentation evening, which is taking place at 7.30pm on Saturday 12th January at Leek Bowling Club, Beggars Lane, Leek. Tickets will be available to purchase from Helen Whitehead, Michelle McGinley-Keates, Michelle Beattie and Mel Hilton at training sessions from Sunday onwards. If anyone has yet to return trophies and shields please could you return them to Lucy or Rob ASAP. This year we are again looking for your support of our Christmas raffle; undoubtedly one of our most important fundraising events of the year. So far we have secured a fabulous first prize of £250 Love to Shop Vouchers……but we need your help! We would like to include a drinks hamper (alcoholic of course!) and a chocolate hamper to our list of prizes, after all who doesn’t like a tipple and chocolate at Christmastime! Please, please could we ask that on your weekly shop you buy an extra bottle of wine, fizz (or something stronger!) or box of chocolates and donate these to our raffle. What happens to the funds we raise? Unfortunately we can’t promise any new comfy seating at Brough Park, Chesterton or Waterhouses! !……but the club does have a ‘wish-list’ of equipment we have set our sights on, including a fully adjustable diving block, new lane ropes and the ability to continue to support equipment requirements across ALL training groups. Year on year our operating costs grow, so if we, as parents, grandparents, friends, distant relatives! etc. can all do a little bit, together we can support the club guarantee a brighter, more secure future for all our aspiring swimmers. Helen, Michelle M-K, Mel and Michelle B.